A dark, gritty urban fantasy debut set in modern-day San Francisco, filled with gods, sinister government agencies, and worlds of dark magic hidden just below the surface. When a secret government agency trying to enslave you isn’t the biggest problem you’re facing, you’re in trouble. Erik, a former teen star living in San Francisco, thought his life was complicated; having his ex-boyfriend in jail because of the scandal that destroyed his career seemed overwhelming. Then Erik learned he was Blooded: descended from the Gods. Struggling with a power he doesn’t understand and can barely control, Erik discovers that a secret government agency is selling off Blooded like lab rats to a rival branch of preternatural beings in ’ZebubSan Francisco’s mirror city in an alternate dimension. Lil, a timid apprentice in ’Zebub, is searching for answers to her parents’ sudden and mysterious deaths. Surrounded by those who wish her harm and view her as a lesser being, Lil delves into a forgotten history that those in power will go to dangerous lengths to keep buried. What neither Erik nor Lil realize is that a darkness is coming, something none have faced in living memory. It eats. It hunts. And it knows them. 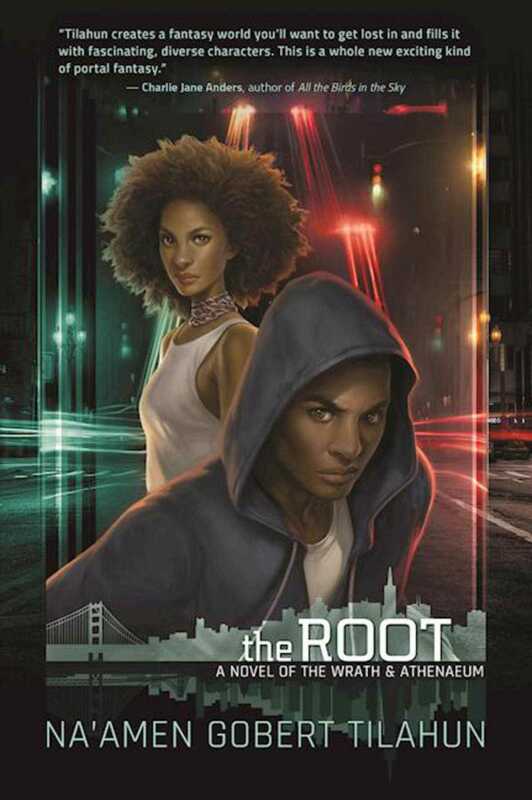 In The Root, the dark and surging urban fantasy debut from Na’amen Tilahun, two worlds must come together if even a remnant of one is to survive.